Gary Scherler, of Seattle, Washington, shares our love for road trips. After finding this 1965 Impala convertible for sale in New York, he flew across the United States to purchase it. Then, rather than towing it or having it shipped home to the Pacific Northwest, he embarked on a 4,000-mile road trip from New York across to California and back up to Seattle. 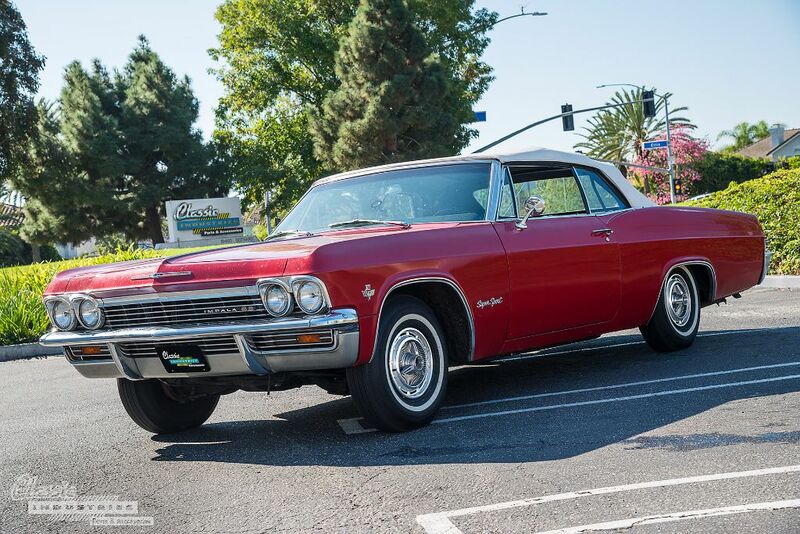 This 1965 Impala retains its numbers-matching 327ci V8 engine and Muncie 4-speed transmission, both of which still run smoothly and reliably enough for the long journey. 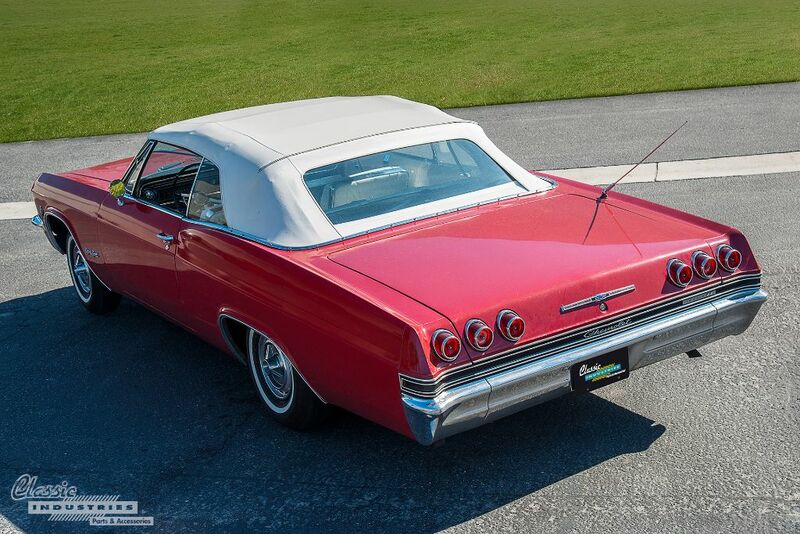 Gary tells us that he plans to restore the 1965 Impala's paint, body panels, and trim to factory condition. Chipping, swirls, and oxidation are currently visible in the car's red paint, but that's nothing a good body shop can't fix. 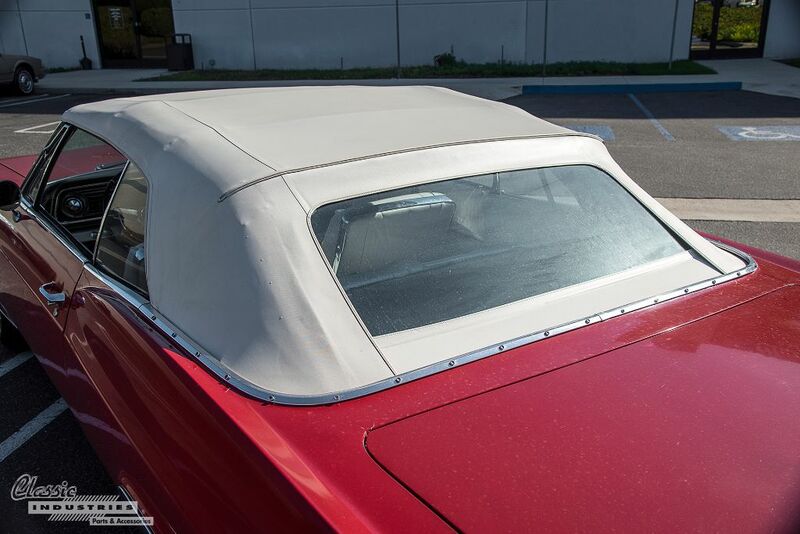 The white vinyl convertible top contrasts nicely with the red paint and chrome trim. 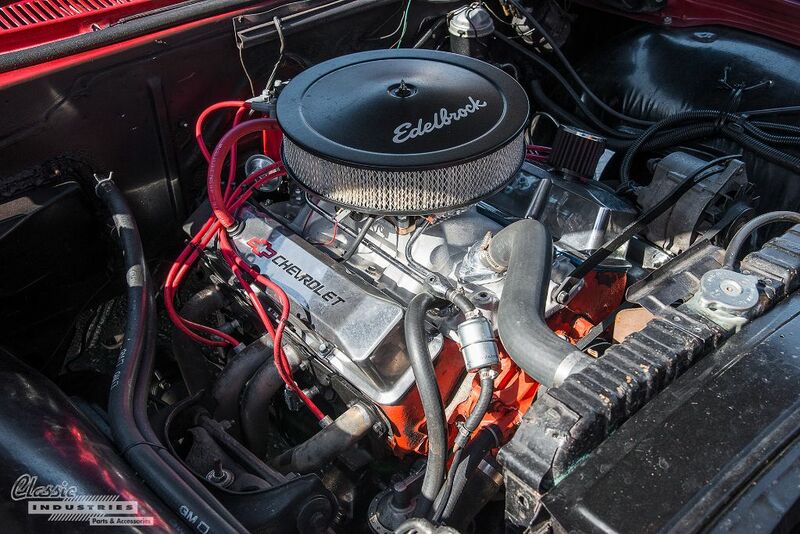 A few performance modifications have been made to the Impala, including mandrel-bent headers, dual exhaust, upgraded ignition, and an aftermarket carburetor. However, the car is no quarter-mile machine — it's still ideal for long-distance cruises like Gary's cross-country trek. Gary stopped at our Huntington Beach, California retail showroom to pick up a catalog and order some parts for the 1965 Impala. Fortunately, the catalog had just what he needed, and many other items he plans to purchase in the future. In time, this daily-driver should be shining like new once again, and Gary will always have the memory of driving across the USA in this classic Impala. 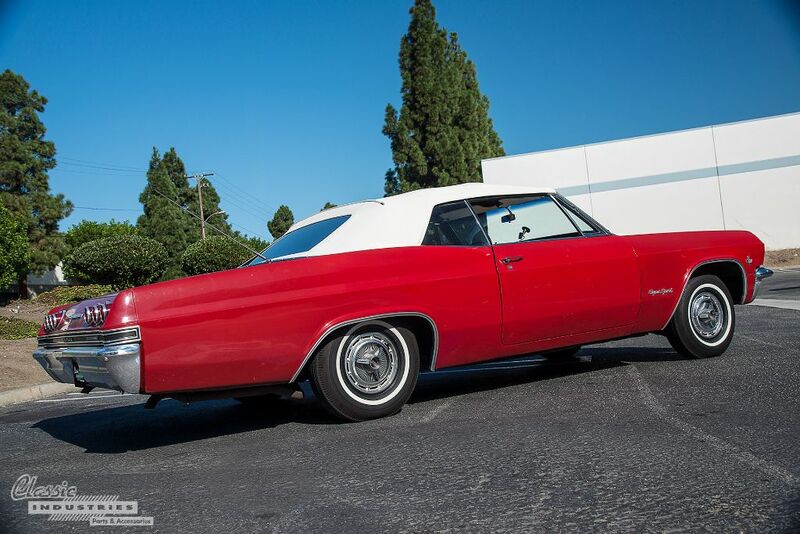 If you own an Impala, Caprice, Biscayne, Bel Air, or any other Full-Size Chevy model, Classic Industries has the restoration parts you need to bring it back to showroom condition. 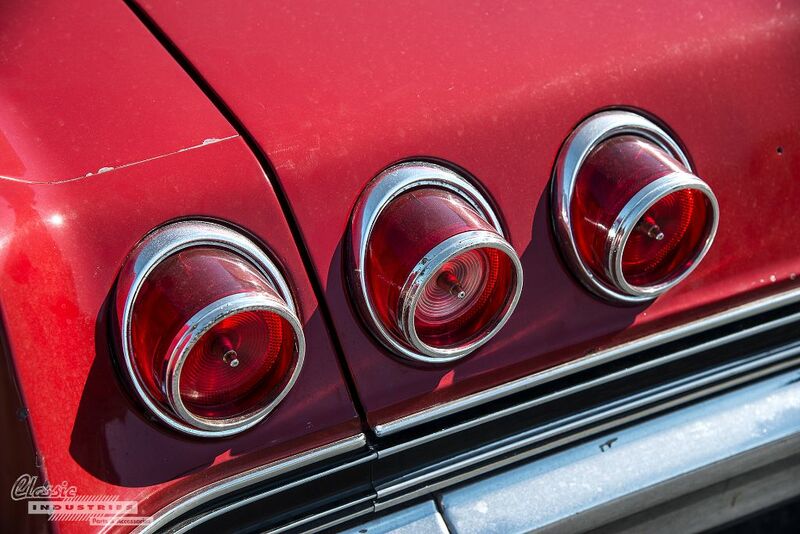 Click the button below for a free full-color Impala parts catalog.